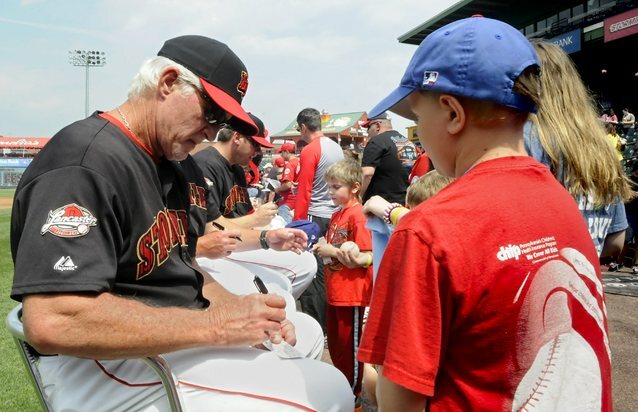 Last Saturday was the annual Lancaster Barnstormers fan fest as they get ready today to open up the 2013 season. We got there early for the team autograph session and got to watch a little bit of the spring training game against the Camden Riversharks. We got quite a few Barnstormers autographs but have many more cards to get signed this season. It was great to be back at the ball park, see some familiar faces back with the team, and meet some new ones! It's going to be a fun season!